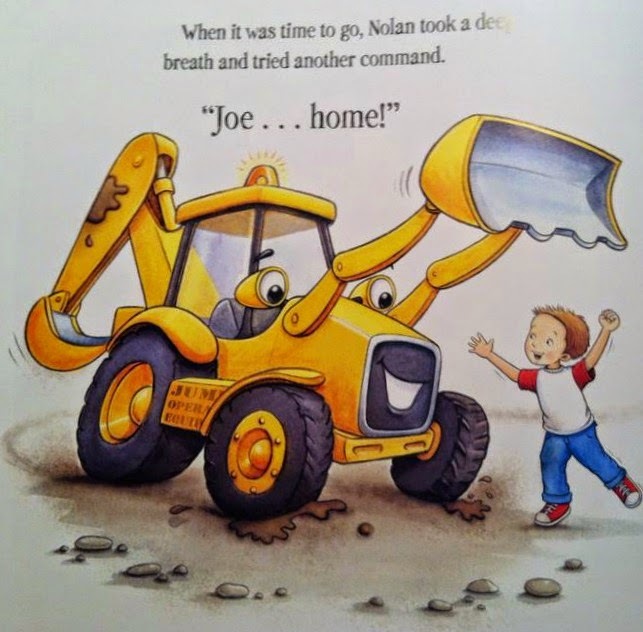 My family was given the sweetest opportunity to review the book Backhoe Joe by Lori Alexander! Backhoe Joe is such a fun book. The reading level is perfect for my daughter also! Not only is she getting practice of reading, she is learning a great lesson. What less could a backhoe teach you? Well of course a backhoe can teach you responsibility! I love the illustrations in this book as well. Cooper keeps calling Backhoe Joe his "dump truck book." This is certainly cute as my 3 yr old love construction vehicles like crazy! Without ruining the story for you, I have to share some of the cutest picture! After an afternoon of playing outside, Ally, Cooper and the neighbor kids came in for a bit of story time. 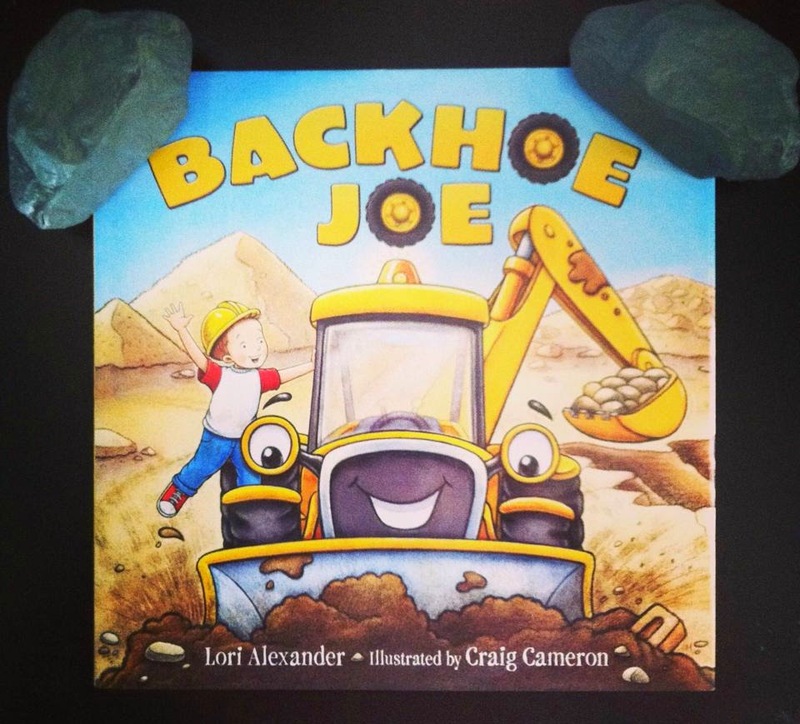 In debut author Lori Alexander's picture book Backhoe Joe, a young boy tries to adopt a backhoe. When Nolan finds a stray backhoe in the street, he can't wait to adopt it. But this backhoe is not very well behaved. As Nolan tries to train his new pet, he learns that maybe this backhoe already has a home. This delightful story of a boy and his construction vehicle is brought to life with Craig Cameron's vibrant illustrations, making this the perfect addition to every young reader's library. Fans of Goodnight, Goodnight, Construction Site by Sherri Duskey Rinker will be thrilled by this endearing picture book about a runaway backhoe. 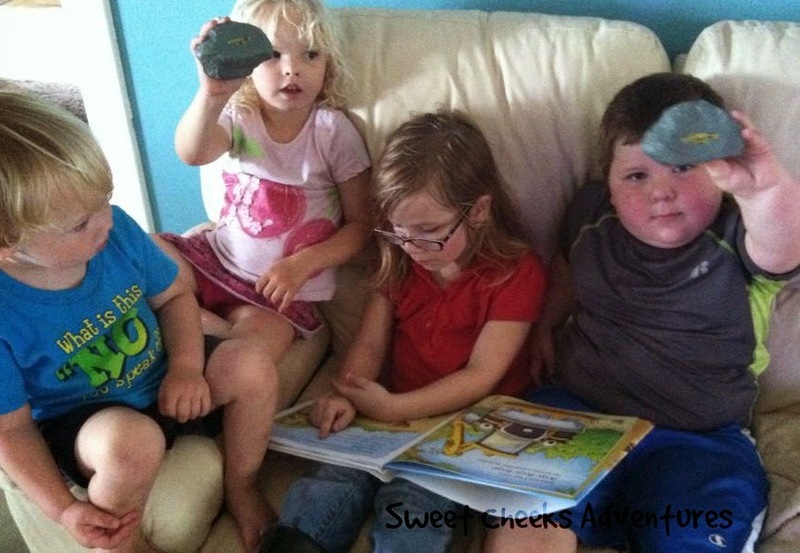 Lori Alexander lives in Tucson, Arizona, with her husband and two rock-collecting kids. Her family always brakes for road construction so they can admire the dozers and diggers. Lori still secretly hopes a backhoe will follow them home. This is her first picture book. You can also purchase Backhoe Joe on Amazon. How do you feel about a giveaway!!? Yeah, I thought you'd love one. Here we go! How to Enter: Please use the Giveaway Tool below! Dates: Starts February 25, 2015 6pm EST. Winner will be chosen March 9. 2015 11:59 pm EST. 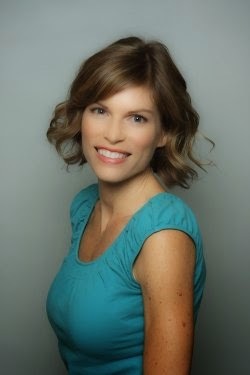 Disclosure: Sweet Cheeks and Savings teamed up with Lori Alexander for this giveaway. Other participating bloggers are not responsible for choosing the winner or shipment of product. They have not receive any compensation for this post. This giveaway is in no way associated with Facebook, Twitter, or Pinterest. The winner will be chose at random by the Giveaway Tool and emailed. The winner must claim the prize within 48 hours or they risk forfeiting the prize. My favorite book as a child was Green Eggs and Ham. Not the hardest book to read, but I really liked eating eggs and I had a brother named Sam. A fond memory.... eating BBQ at family gatherings. Delicious food and playing with relatives. Those were good days. Thanks so much for the review, Ashley! Love the picture of your kids and the neighbors. Hope they all dig BACKHOE JOE! I remember my mom reading me Peter Rabbit. It was my favorite book. i loved reading Trixie Belden books when i was younger!! My favorite book as a child was Curious George.I was always fascinated as a child with how much baby chimps acted like human babies. my son, for some reason, was able to memorize Cinderella.. I think he enjoyed surprising everyone that he could say all the names at a young age. I loved Eric Carle's, The Grouchy Ladybug!